Couture Dreams Chichi Decorative Pillow - Swatches may be available. 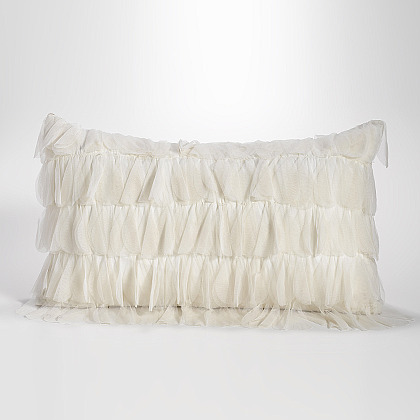 Couture Dreams Chichi Decorative Pillow will dress up any room. 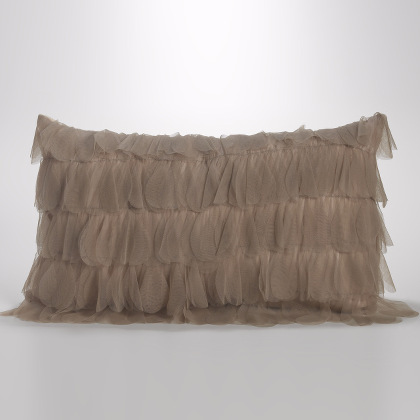 This pillow is sophisticated and romantic yet playful and casual. Truly stunning this pillow will surely to turn any room into a statement piece. Each petal is individually hand sewn onto the pillow creating a beautiful array of cascading petals. A great finishing touch paired in a room with our other Chichi products. This product is hand �finished. Slight imperfections may occur and should not be construed as damages. It is normal for finishes, textures and dye lots to vary slightly. Nylon Petal Front and Jute Backing w/Envelope Enclosure, 16x26. Includes insert.